BlackBerry's KEYone officially launched in Canada a couple of months ago. At the original announcement, TCL (who licenses the BB name) said that the U.S. would be getting its own versions of the anachronistic phone in the months to follow. Starting tomorrow, new and current Sprint customers will be the first to pick up the KEYone here in America. Besides just the ridiculous stylization of its name, the KEYone features a 4.5" IPS LCD 1650 x 1080 display, a Snapdragon 625 SoC, 3GB of RAM, 12MP/5MP cameras, a huge 3,505mAh battery, and the latest security patches on top of Nougat. Perhaps the most striking thing about the KEYone is the physical keyboard, which makes the entire phone's look hearken back to the BlackBerry days of old. And if you want my thoughts on the device, be sure to check out the review I did for it. While I was not personally impressed with it, I can see a certain group of smartphone users picking one up and enjoying the KEYone. You get a "stock+" software experience with some added BlackBerry productivity and security features. And perhaps in the month or so since my review, TCL has had enough time to fix some of the problems I experienced. Sprint will be offering the KEYone for $22/mo ($528). New customers will also be eligible for the Unlimited Freedom plan, which gives you four lines with unlimited data for $22.50/month/line. And if you need, the fifth line is free for a limited time. Just remember to read the fine print before you sign anything. OVERLAND PARK, Kan. and IRVINE, Calif., July 13, 2017 /PRNewswire/ -- TCL Communication, a leading global smartphone manufacturer and global smartphone licensing partner of BlackBerry Limited, is today announcing that Sprint (NYSE: S) will be the first carrier in the U.S. to offer the award-winning BlackBerry KEYone. This all-new BlackBerry smartphone will officially be on-sale beginning tomorrow, July 14, at www.sprint.com or by calling 1-800-Sprint1 for 18 monthly payments of $22.00 (SRP - $528 USD)1. It will also be available at Sprint stores across the country later this month. "This is a highly anticipated launch as we partner with Sprint who is among the first U.S. carriers to offer the award-winning BlackBerry KEYone," said Steve Cistulli, President and General Manager of TCL Communication, North America. "Expanding the availability of the BlackBerry KEYone is a significant milestone for BlackBerry Mobile, furthering our commitment to offer the best in mobile security and a distinctly different communication experience to customers across the U.S."
"BlackBerry has a long-standing reputation for providing one of the most accurate and easy-to-use keyboards and incredible security features," said Roger Sole, Sprint Chief Marketing Officer. 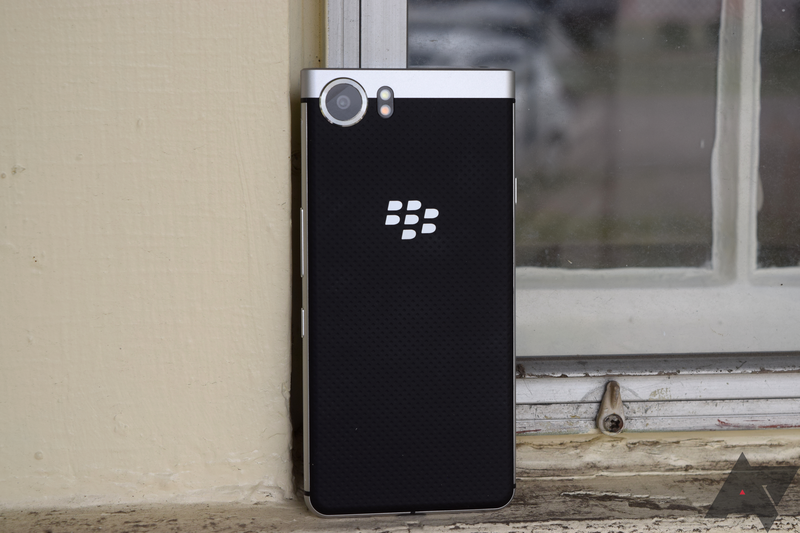 "We are pleased to bring BlackBerry back into our device portfolio and we believe the BlackBerry KEYone will be a hit with our customers. It pairs perfectly with Unlimited Freedom, giving Sprint customers the convenience of unlimited data on an incredibly powerful and security-conscious smartphone." Built to last with a durable and sleek aluminum frame with a soft textured back for extra grip. Includes a 4.5-inch touch display featuring impact and scratch resistant Corning® Gorilla® Glass 4 offering the best in resilience and durability. Reimagined communication experience thanks to an innovative Smart Keyboard that allows you to set up to 52 customizable shortcuts and transform each letter key for quick access to your favorite apps and most important contacts. Includes the world's first keyboard-embedded fingerprint sensor conveniently located in the spacebar and provides added device security and convenience. Distinct BlackBerry smartphone powered by Android, with the familiarity and functionality of Android™ 7.1 Nougat giving users access to the entire Google Play™ store and over one million apps. Includes the largest battery (3505mAh) ever found in a BlackBerry smartphone, offering up to 26+ hours of mixed use, and Qualcomm® Quick Charge™ 3.0 technology enables up to 50 percent charge in roughly 36 minutes. Pre-loaded with DTEK™ by BlackBerry, offering constant security monitoring and protection of your operating system and apps by letting you know when your privacy could be at risk and how you can take action to improve it. The BlackBerry KEYone will also receive regular monthly Android security updates, ensuring you have the safest and securest Android smartphone experience. Features a 12MP rear camera with an industry leading camera sensor (Sony IMX378) that captures sharp, crisp photos in any light. The wide aperture lens with large 1.55μm pixels and dual-tone flash ensures your photos will have superior color and clarity. At the core of this new BlackBerry smartphone is the Qualcomm Snapdragon 625 mobile platform with the Qualcomm® Adreno™ 506 GPU. This means BlackBerry KEYone users will enjoy a powerful combination of optimized battery efficiency and usage, plus fast LTE speeds for super-fast file sharing. For more information and additional details on the BlackBerry KEYone, please visit www.BlackBerryMobile.com. For a limited time, when a customer switches to Sprint, they can get four lines of unlimited data, talk and text for $22.50per month per line with Unlimited Freedom2. Plus for a limited time, your fifth line is free! This offer includes HD streaming for videos, gaming and music enjoyment and 10GB/month per line of mobile hotspot data. Unlimited Freedom is the nation's best value for unlimited among U.S. national carriers. T-Mobile charges extra for these HD and mobile hotspot perks. Verizon and AT&T unlimited plans cost 50 percent more3. For more information on Sprint's Unlimited Freedom, visit sprint.com/unlimited or your local Sprint store.